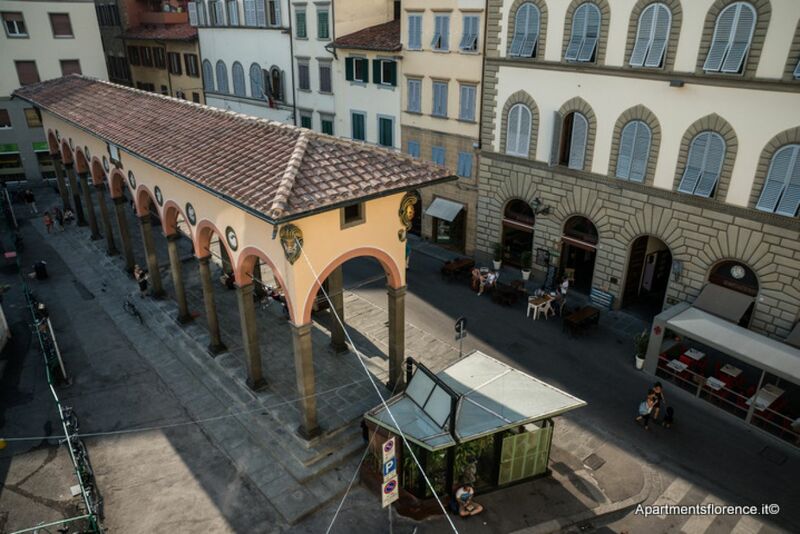 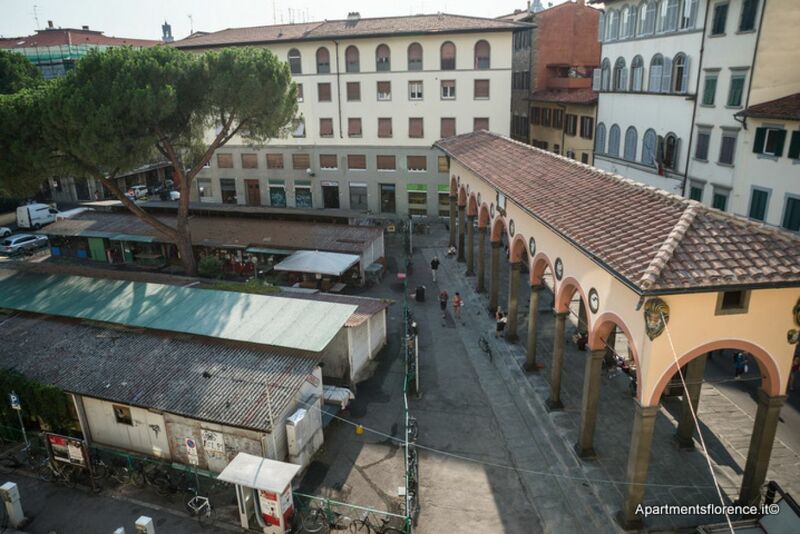 Apartment "Loggia Ciompi" for rent in Florence, Italy.. 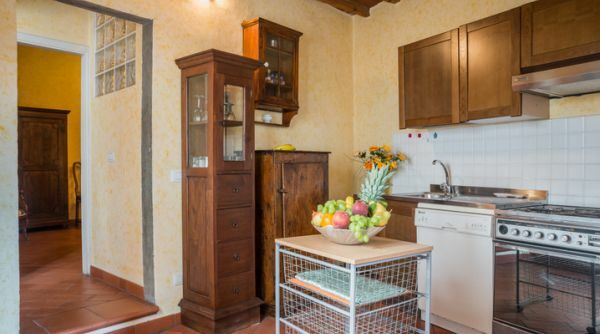 The authentic Tuscan atmosphere you are looking for, in the heart of Sant'Ambrogio: live like a true Florentine in this marvellous rustic apartment. 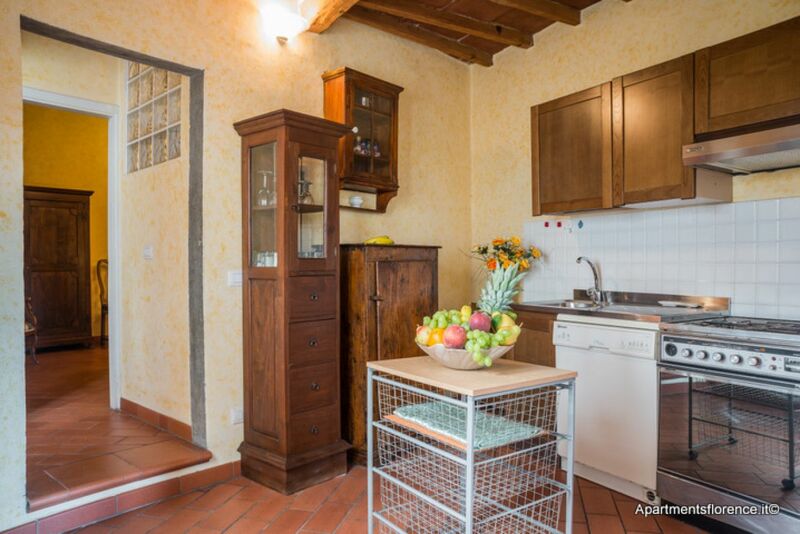 This charming two bedroom apartment is located on the third floor of an ancient building in Piazza dei Ciompi, a lively square in the middle of Sant'Ambrogio neighbourhood, a few minutes away from the Duomo. 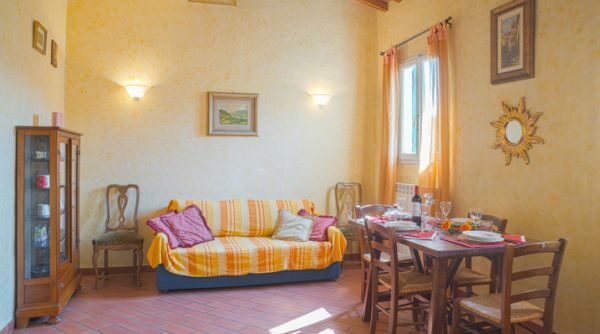 The whole house maintans the true Tuscan atmosphere that permeates the place: the minute you enter this apartment you'll instantly feel the warm, welcoming charme of exposed wooden beams, terracotta floorings and rustic yet stylish furniture. 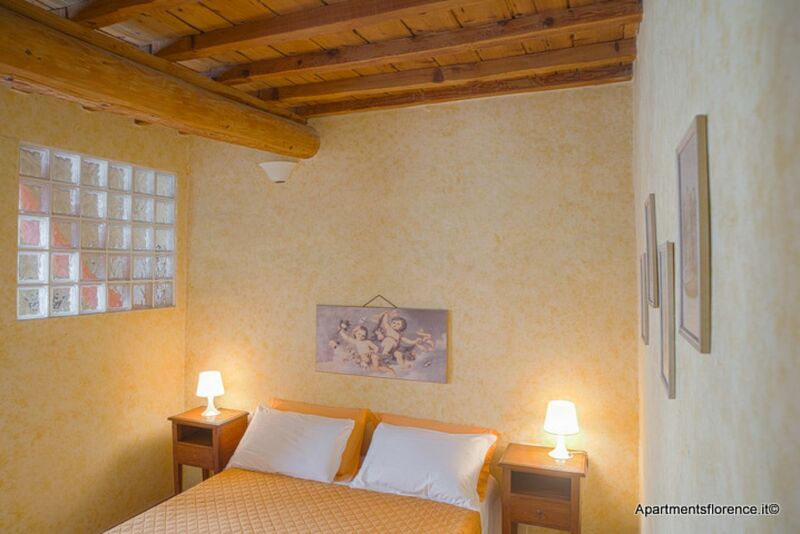 The lovely living area, is cozy, features a sofa bed and a wooden dining table for six. 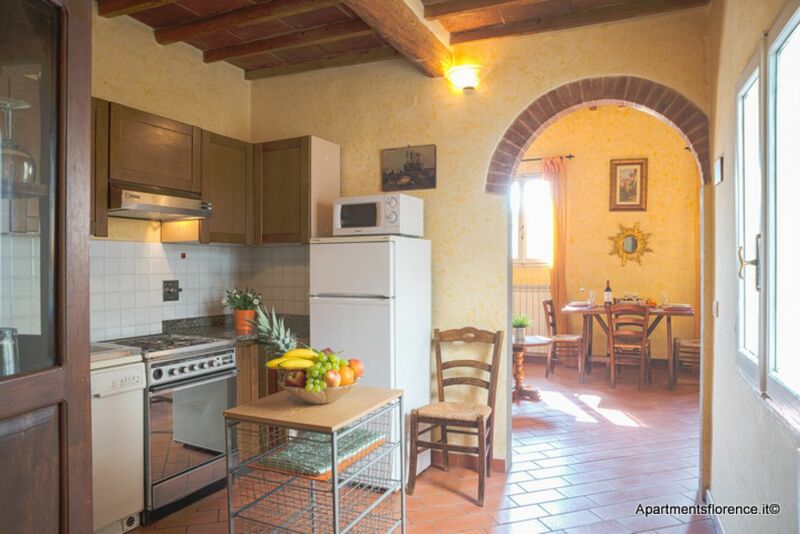 An archway with exposed bricks leads to the kitchen, also fully equipped with everything you may need to cook your own favourite pasta. 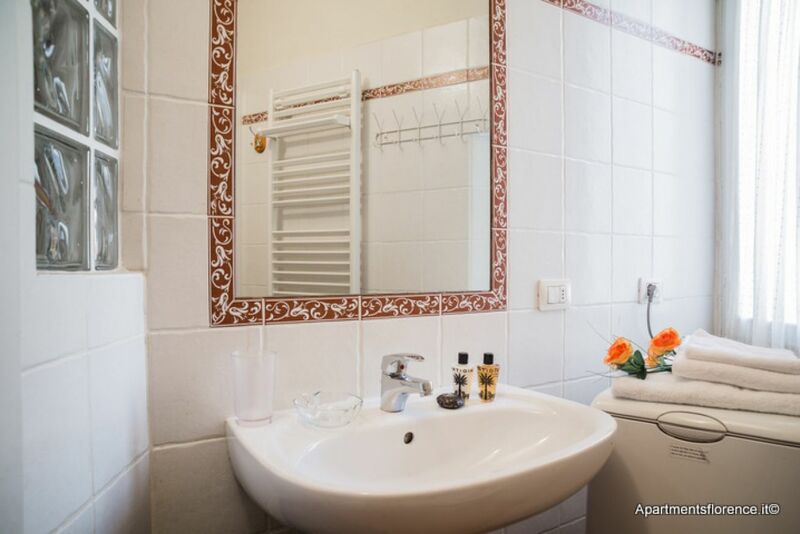 From here you'll have access to the two bedrooms: this apartment can accommodate up to six guests thanks to the two bedrooms, two bathrooms and the sofabed. 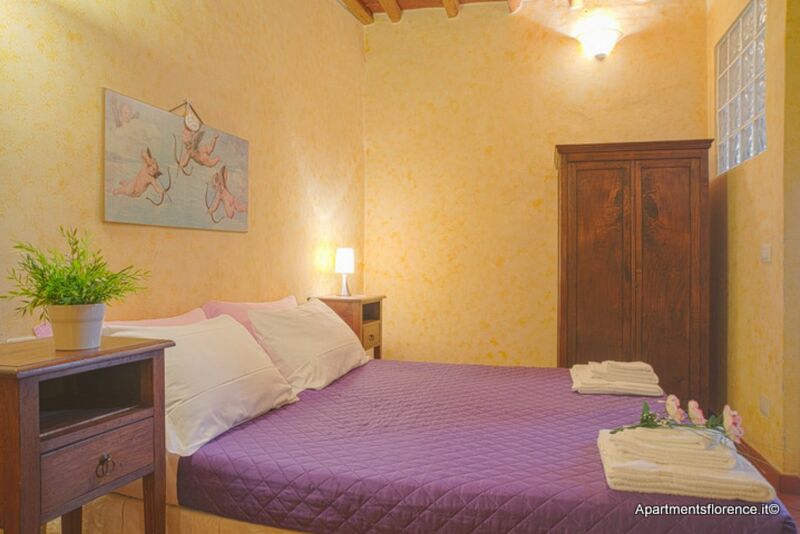 Both bedrooms have two twin beds (that can be joined together), night tables and closets (no direct sunlight). 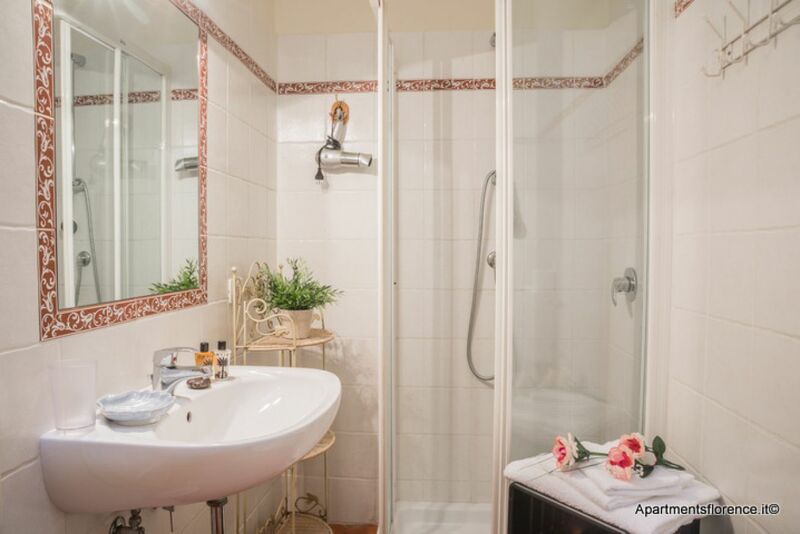 The bathrooms feature spacious walk in showers. 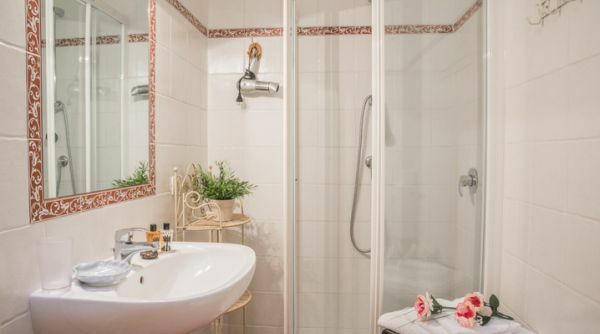 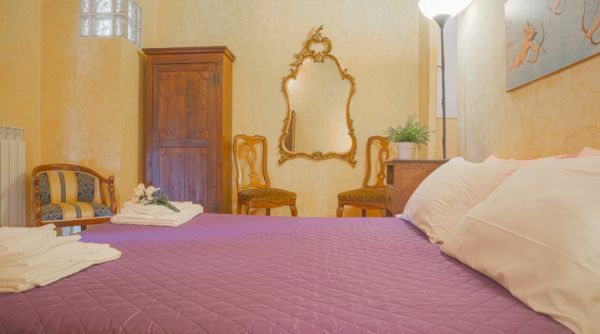 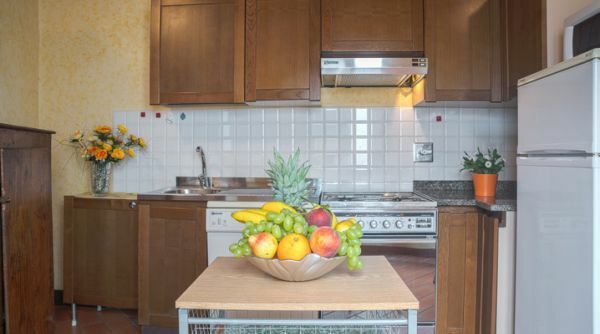 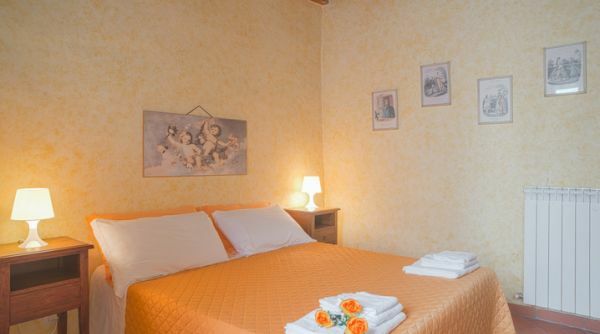 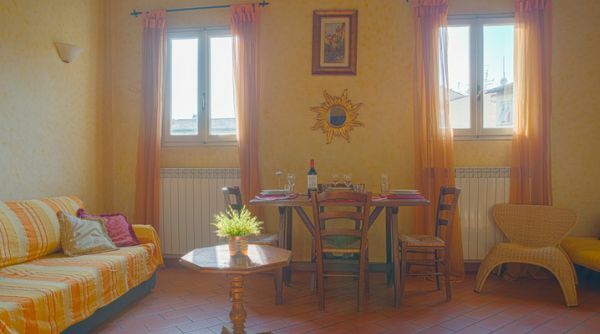 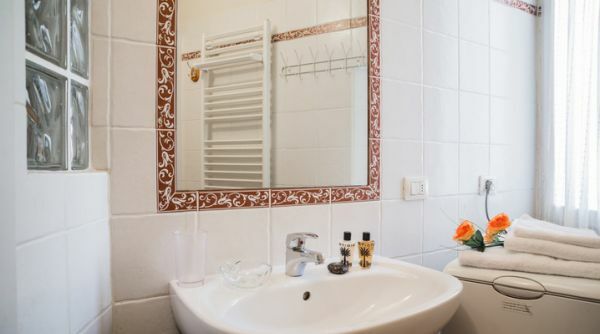 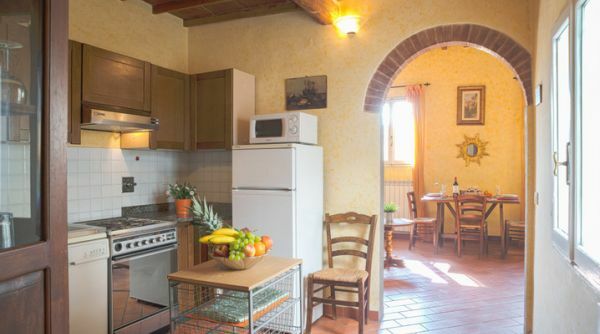 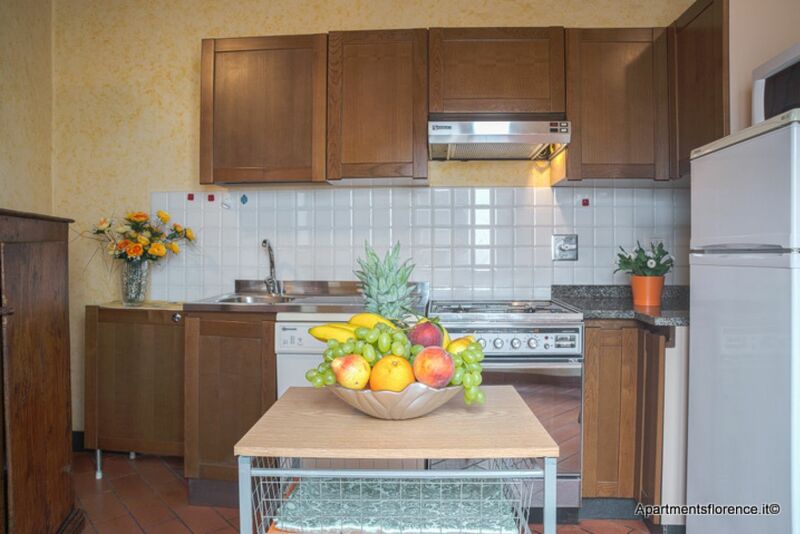 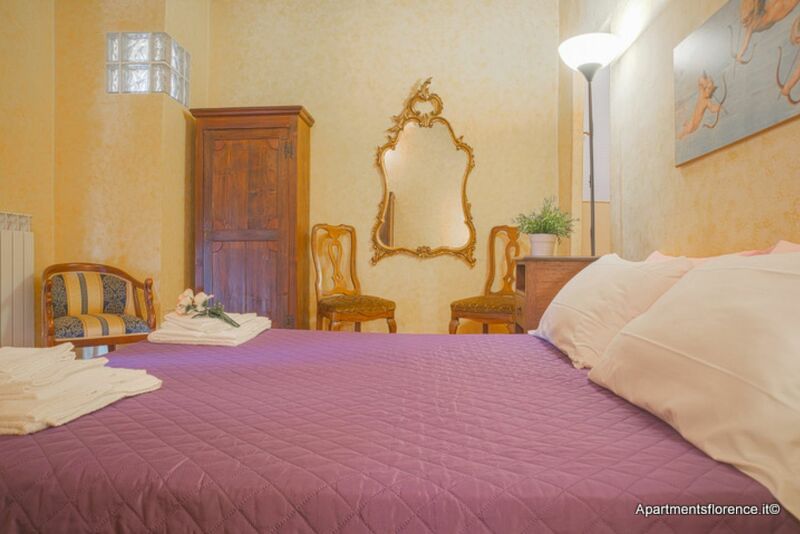 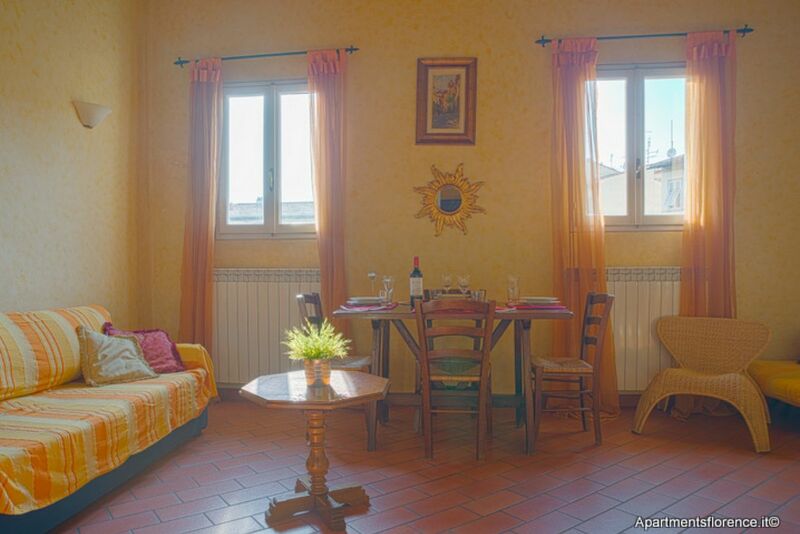 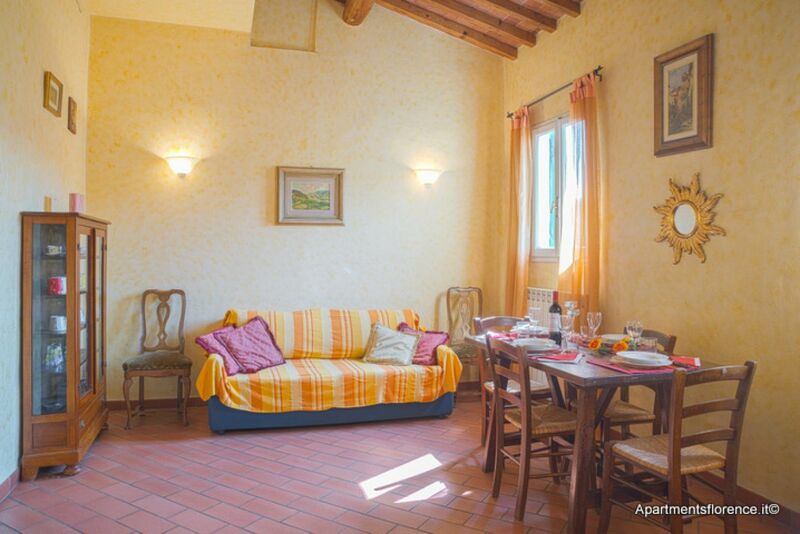 This lovely rustic feeling apartment is the ideal choice for a family or a small group of friends or students who wish to find a typical place where to spend their Florentine holiday. 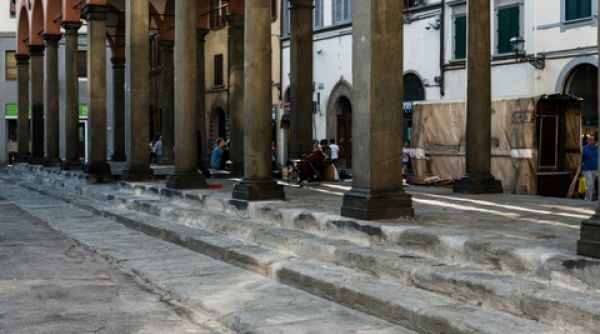 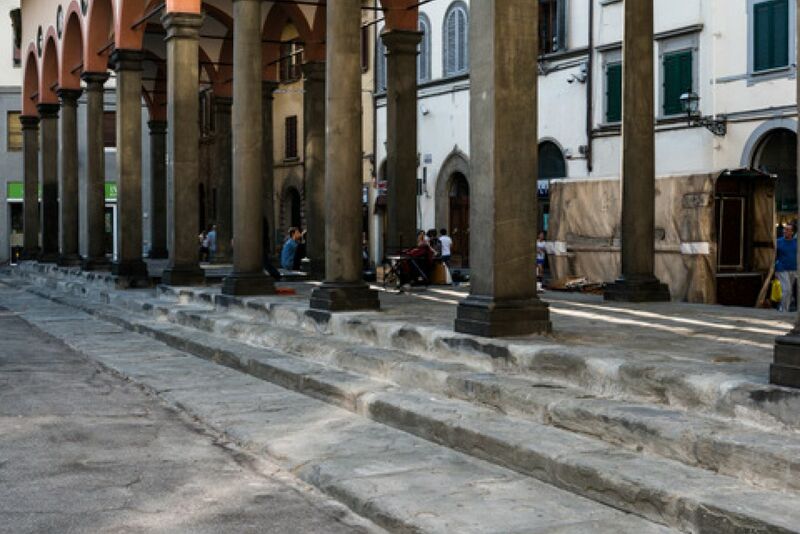 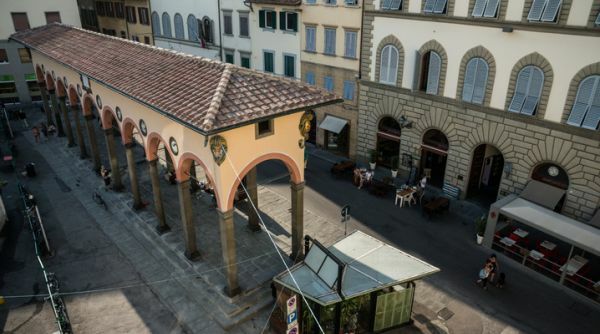 Loggia Ciompi surely will adapt to any kind of guest, providing you with space and ensuring an exceptionally well located starting point to explore all of Florence's beauties. 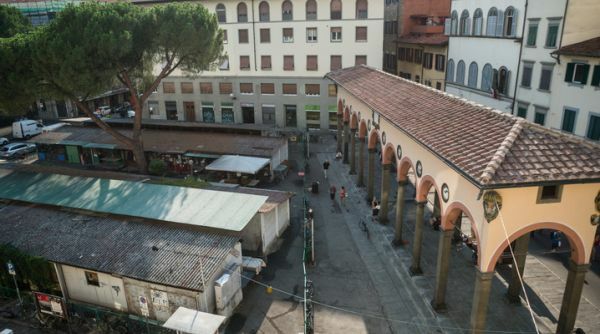 Choosing Loggia dei Ciompi you'd be nested in the very heart of the historic neighbourhood of Sant'Ambrogio, filled wth local restaurants, workshops, farmer's markets, clubs and wine bars, and also a few minutes away from all the monuments and museums such as the Duomo, Ponte Vecchio, the Uffizi Gallery and Palazzo Vecchio.